Us humans can agree that a clean toilet is preferable over a dirty one right? Cats think the same about their litter boxes! This is a very easy fix and requires regular cleaning of the litter box and a regular change in litter. Veterinary professionals suggest scooping out your cats litter box once per day, and once a week changing the old litter out for new. As well as a once a week deep clean of the box itself in warm water, with unscented soap. For time poor cat owners, you can also find self-cleaning litter boxes online and at your local pet shop. 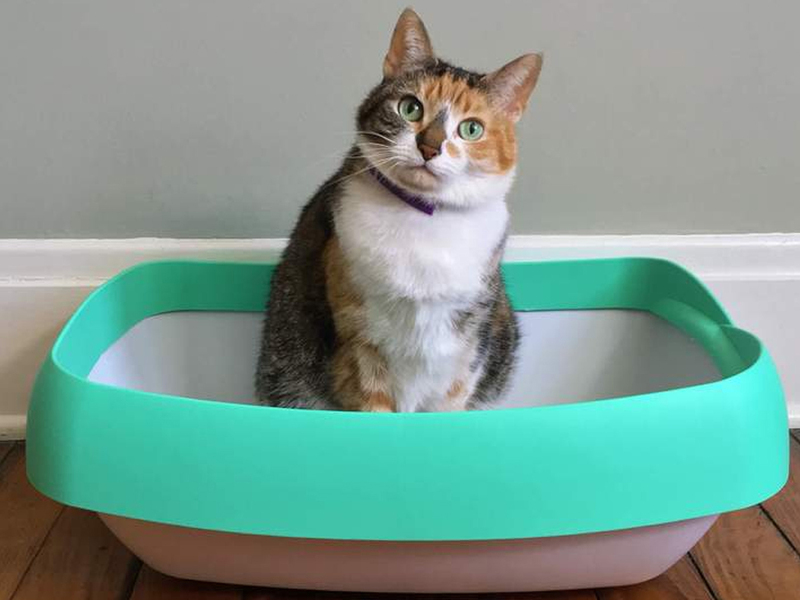 If you have multiple cats it is important that you have a separate litter box for each one, as cats have a habit of marking their territory and won’t want to use a litter box that has already been marked by its housemate. Sometimes it can all come down to the type of litter you are using! A simple fix, however it may require testing out a few different types before you find the right one. To make this process a little bit easier, we suggest having two litter boxes; each with a different type of litter, and see which one your cat chooses! Cats are creatures of habit, so when they break their normal routine it could be due to a medical problem. A urinary tract infection, diabetes and arthritis are common problems associated with this behavior so if the above steps don’t work seek veterinary attention. Location, location, location! I can’t imagine many humans being happy to use the toilet in a room full of people, cats are the same! Try placing your cats litter box in a quiet and private part of your house, preferably one that doesn’t attract too much foot traffic. The laundry or a less used room is a great place to start! Hopefully these 5 tips have helped you identify where your cats urinating problems have stemmed from. Remember that the longer you leave this matter unattended, the harder it will be to correct!